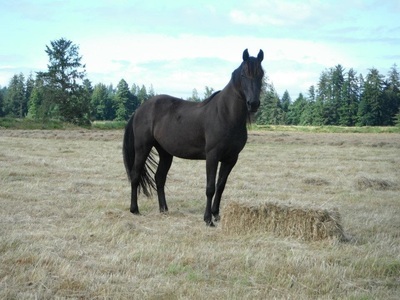 Maya is a beautiful 12-14 yr old (estimated) mare that was rescued by her former owner from extreme neglect and abuse. Maya was relinquished to AAE at the end of September 2016 when that owner was diagnosed with stage 4 breast cancer and would no longer be able to care for Maya or work with her due to illness, and terminal prognosis. Maya is relatively easy to handle and tolerant for all health and maintenance needs ie. 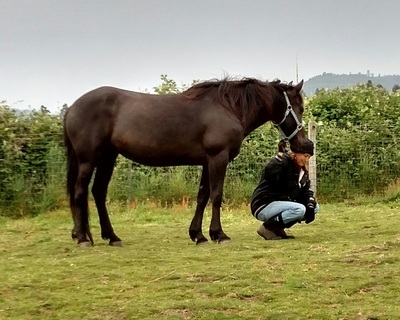 haltering, fly mask, fly spray, grooming, blanketing, vaccines, worming. 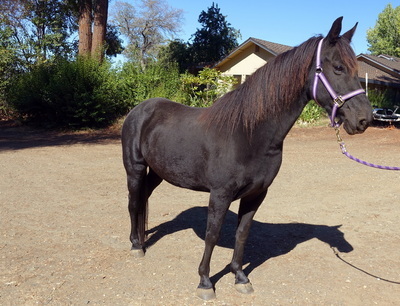 Maya is good with handling her front feet, but fearful of having her hind end/hind feet handled; hind feet require sedation for trimming, at this point. Prior to intake at AAE, she had 60 days with a local trainer who brought her up to being ready for her first ride. She was handled extensively, saddled, bridled and ground driven. HOWEVER, upon veterinary exam after arrival, Maya was diagnosed with Degenerative Suspensory Ligament Desmitis or DSLD. 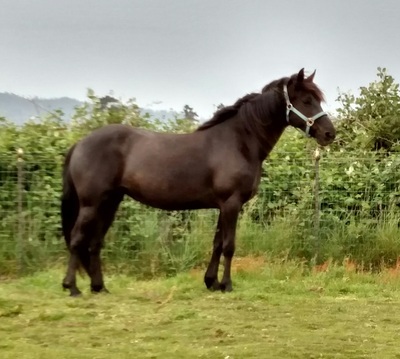 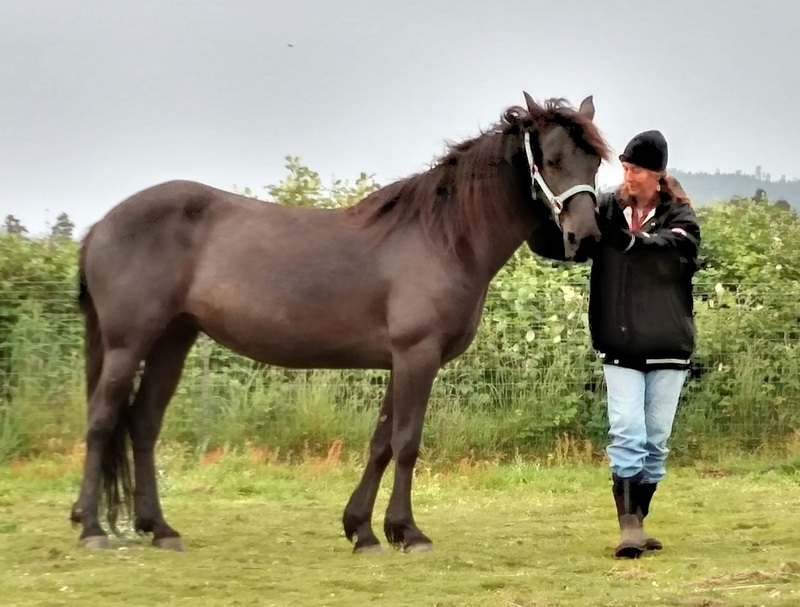 Due to her DSLD, she is looking for a companion home with relatively flat ground where she will not be pushed around or pushed to move by other horses. 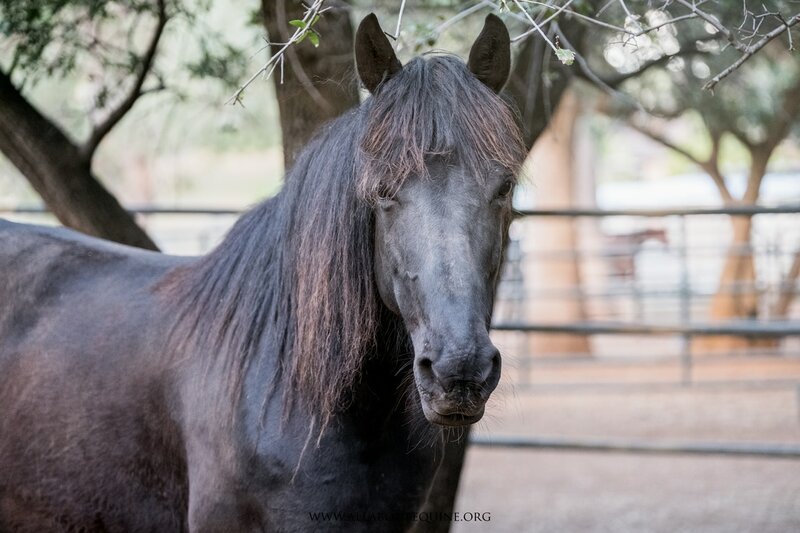 Since coming to AAE, Maya is current with vaccines, deworming, and hoof and dental care.